The UK Speechwriters’ Guild invited Tony Blair’s former speechwriter, Phil Collins, to address our Christmas gathering on 23 November 2017 at the St Matthew’s Conference centre in Westminster. 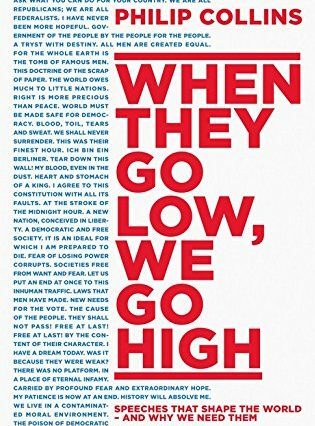 Phil made the case for politics in his talk about his new book, When they go low, we go high, Speeches that shaped the world and why we need them. 45 people turned up to hear Phil give a brief history of rhetoric in 35 minutes.